Moms Are One of a Kind. 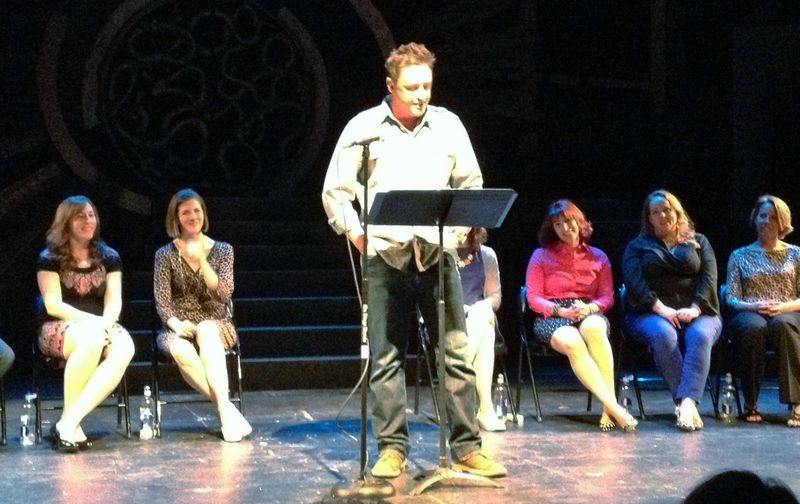 NOTE FROM THE EDITOR: As I’ve mentioned before in ‘Jump in, Your Nightmare is Warm’, I recently performed a reading of an original piece at the Synetic Theater in Arlington, Virginia for the annual ‘Listen To Your Mother’ series. As you can tell, aside from looking like a gargantuan Paul Bunyan, I was the only male cast member in Washington, D.C. 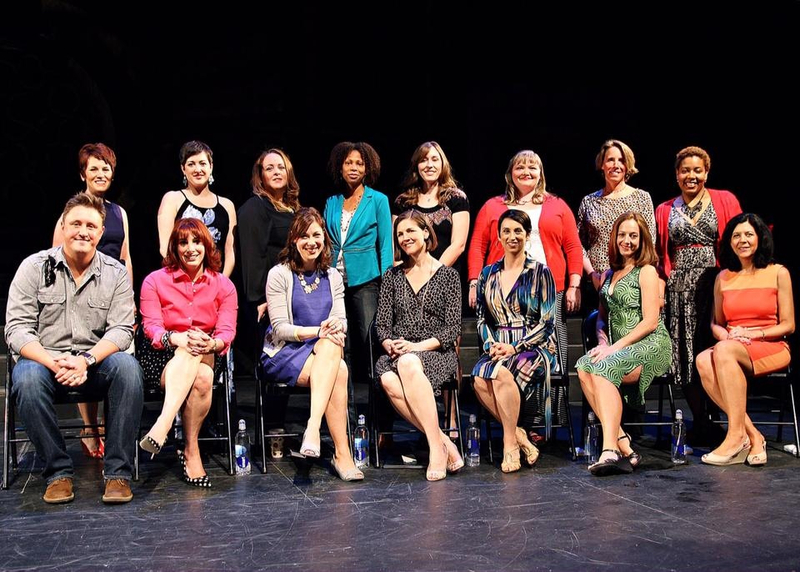 I was honored to perform amongst these 14 amazing women, standing up to pay homage to moms everywhere. I felt like it was appropriate to share on the eve of the holiday and I wish all the moms out there the best and hope you have a wonderful Mother’s Day! I’m the oldest of three boys, the first son of a bricklayer and a nurse. 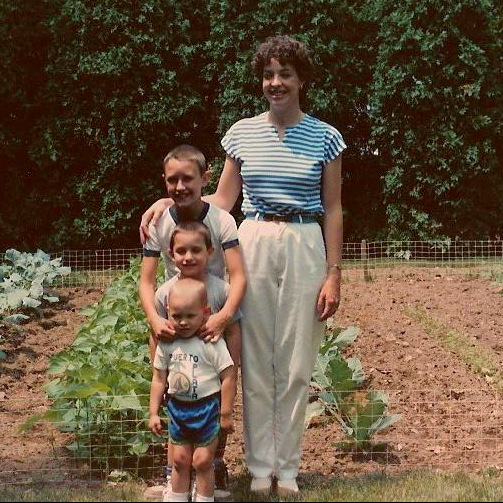 While growing up, my mom had a full-time job, but was fortunate enough to have the flexibility to work a day shift during the months we were in school and at night over the summer. She did her best to juggle a chaotic schedule. Mom did a lot. If families had executive ranks, I would’ve labeled her as Chief Operating Officer of our household in rural Pennsylvania. She fixed breakfast, wrote the checks and reeled us in by our ears as my brothers and I tried to suplex and body-slam each other in the aisles of the grocery store. She’d hang the laundry on the line, weed her garden and help us with our homework. She hustled us back and forth from Cub Scouts and the Pinewood Derby, 7am swim practice and track meets. She took us for pictures with the Easter Bunny and Santa and once helped tape ham lunchmeat to my brother’s face as he dressed up like Freddy Krueger for Halloween. She fixed homemade dinners and got us ready for bed before pulling an 11-7 shift at the hospital. She even managed to somehow work the snack stand at our little league games. And on one occasion, after I’d run into the centerfield wall chasing a pop-fly, breaking my front tooth in half and knocking myself unconscious, I awoke in the grass along with the coach and my team crouched around me, kinda like Dorothy in the Wizard of Oz. But instead of Auntie Em and Uncle Henry, there was Mom… down on a knee, holdin’ a Ziploc bag full of milk with my tooth already in it, ready to take me to the dentist. SHE WAS AMAZING. MOMS ARE AMAZING. And SOMEHOW, they manage to be everywhere. While all of that sounds fulfilling, rewarding and perhaps even a tad heroic — with the good, also comes the bad and the ugly. She tolerated my brothers and I enlisting her good linens to make forts that extended throughout the house, using her antique lamps as anchor points. We pushed her to the edge, at our height consuming 10 gallons of milk a week. She jumped in between us as we lunged at each other with our fists, rabies-foam forming at the corners of our mouths. She even once flew out of the Hess’s fitting room in nothing but a bra, to rip us from our hiding spots underneath the clearance racks. She cut chewing gum and candy canes from our hair and boiled our mouth guards and athletic cups. She powdered our rancid athletic shoes, hand-scrubbed skid marks from our underwear and when we became completely undeniably unmanageable, locked us outside in those same tighty-whities and told us not to come back. But that’s what a mom does. Big deal. That’s not that tough, right? I never happened to really give it a second thought. As a guy, my plan was a no-brainer. I’d go to college, get a great job, find a pretty girl with anxious ovaries, have some kids and let HER do the ‘new mommy’ thing. Maybe I’d even find the time to play golf and drink some beer. A few years after school, I got that great job. I did what any former farmhand from the cornfields and cow stalls of Bucks County would do. Obviously… I got a job… in Hollywood. I went from baling hay, eating pierogies and using Pennsylvania Dutch slang to sake bombs at Matsuhisa, breast implants and riding the mechanical bull on Sunset Blvd. I had some great successes under my belt… corner office, sweet parking spot and the corporate card. I was ridin’ the wave. I found that girl with the not anxious, but woo-able ovaries. And not only was she pretty, but also successful. I bought a new car and picked out a diamond. We got married… she got pregnant… we had a girl. It was like ‘Jack n’ Diane’ on performance enhancing drugs. This plan was working out far better than I had ever imagined. After our daughter, Ava, was born, we both took time off to embrace motherhood and fatherhood. It was frighteningly close to how I had pictured it. A little bit Archie, a little bit Edith, but we were ‘all in’ as a family. For the two weeks I was off after the birth, for the most part, I hit the sidelines. I needed a break from my ‘stressful’ job. I noticed my wife doing all that new mommy stuff, just like the script said… feeding every three hours and changing diapers every two. Washing bottles, cleaning rattles, swaddling and swaying to sooth. I NOTICED what she was doing, but I WASN’T paying attention. Before I knew it, my ‘vacation’ was over. Two weeks were up and I went back to work. And that day I found out that my position was eliminated… my contract was paid out and I was sent home to find my next endeavor. But the economy was a gnarled, ugly mess and that endeavor wasn’t there. We were lucky though, because my wife still had her job, and she had our back. And by back… I mean THAT was the last part of her we saw, as she walked out the front door that following Monday, leaving me alone to fend for myself with a ten week-old baby girl. Her tour of duty was over though… she wished me well and ‘had to run’ because her chamomile was getting cold and solitaire was waiting. Who was going to keep this kid alive and why didn’t I pay more attention in class? And that was three years ago. That’s how long I’ve been an unexpected full-time stay-at-home dad. I have two kids now. Ava is 3½, Charlie will be 2 soon and I’ve never had more respect for Moms as I do now. Once a high-fiving, drywall head-butting, football Sunday bar hopper, bottoming out longnecks and ripping stop signs from the ground… I’ve now got a sensitive side. I keep a close shave so I don’t scratch the kids up, giving Eskimo kisses or zerberts. I’ve learned the art of wiping front to back, not the other way around… and it’s a secret, but I’ve sampled breast milk to check its temperature. I’ve spent mornings soaking Medela pump tubes in vinegar and hand scrubbing lactation spots from my wife’s nursing bras. I can accessorize my daughter with the best of them. Flowered hats and tutus, dance parties and boo-boos. I clip the coupons and work the stain stick. Potty-training, timeouts and kiss n’ ride. I’m master of the Disney Fast-play option while paying a bill over the phone and attempting a recipe from Barefoot Contessa. I can be in two rooms at once and use my spidey-sense to catch them before they fall from the chair they dragged across the room to bust into the China buffet. I cuddle during thunderstorms and can really knock a manicure and clear coat out of the park. As my kids get older, I think my daughter sometimes gets confused with our role-reversal, when she sees how other families work. A few months ago, Ava went through a phase where she was confusing Mommy for Daddy and vice-versa. She came into the bathroom while I was showering and kept calling me mommy while machine-gunning me unanswerable questions. I’M the mommy with a wenis that she’s talking about. Despite what my kids may call me, or everything I take on as a stay-at-home dad, I could never be a “mommy”. Their intuition and empathy…their love and strength…their patience and nurturing love. They’re hard to mimic. ADDITIONAL EDITOR’S NOTE: As part of an all-out marketing blitz (and a way for me to buy groceries next week), I’m still loitering at the bottom of my blog posts, letting you know that I wrote a book for Penguin Publishing that arrived in stores this week. It’s a comedic memoir about not only becoming a dad, but ALSO an unexpected STAY-AT-HOME dad. With Mother’s & Father’s Day coming up, it might make a pretty cool gift for someone you know…click here to order it now ! « Jump In, Your Nightmare is Warm. You, my friend, are learning how to win awards left and right, me thinks. You charmed us moms by recognizing that what we do is work, not just “hanging out” time, and you did it without being condescending. Me likey. Thank you for sharing your story, because although I’m sure it’s not always hilarious to you, it’s pretty freakin’ funny to me, and I think that makes you a cool dad. I love this so much, you found a way to put this parenting job into words, from both perspectives. Perfect. And congratulations on LTYM. So funny! I loved it and can’t wait to see the video of you delivering this essay. As a fellow cast member of 2013 (Austin) I salute you!